For FW18, American heritage brand Woolrich celebrates its American Soul with a cast of musicians reflective of American culture today. As you’ll see in the video above, the campaign prominently features Ms. Lauryn Hill in her first-ever fashion campaign. Hill also partnered with the brand to create a limited edition capsule collection of outerwear (already sold out!). I’m obsessed with the visuals of Ms. Hill and the vibe of the larger campaign. Shot by Jack Davidson, under Woolrich creative director Andrea Canè, this campaign definitely inspired me take a fresh look at the brand. The campaign is dark, beautiful yet still full of light. Job well done. The campaign video (top) and images were shot at the same Harlem theater where the “Doo Wop (That Thing)” video was filmed 20 years ago. 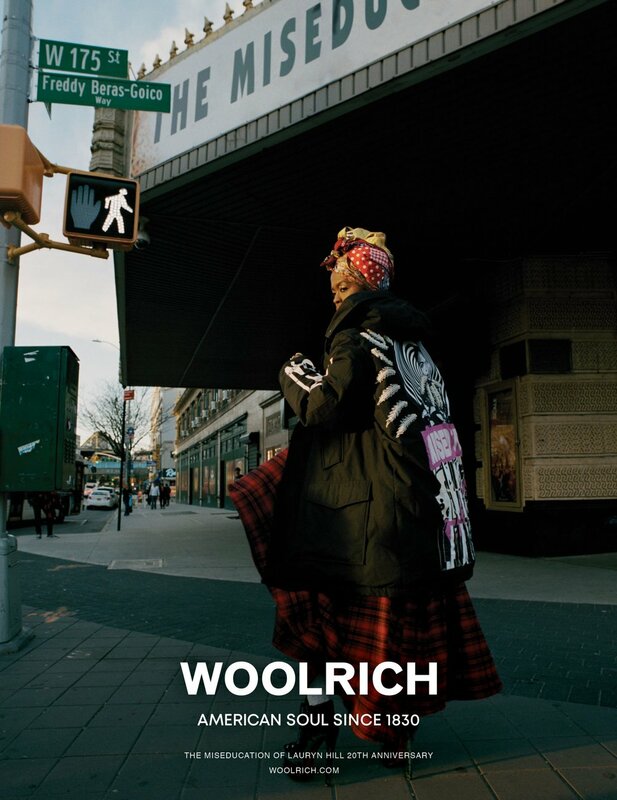 Images from the larger ‘Woolrich since 1830: American Soul’ campaign below.